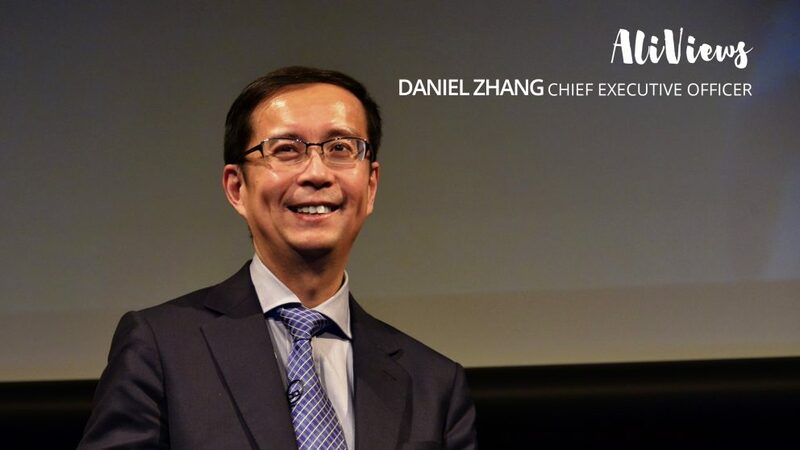 Once again, I am delighted for this opportunity to report on Alibaba Group’s progress over the past year, and share our strategic outlook and plans for the future. We enjoyed significant growth across our entire business this past year. This was also the year that our investors gained appreciation for the clarity of Alibaba’s vision, mission and strategic blueprint. I would like to take this opportunity to thank our shareholders for their trust and commitment in Alibaba. At the same time, we remain committed as ever to our philosophy that only when we take care of our customer and support our employees who serve these customers, will we able to create shareholder value. 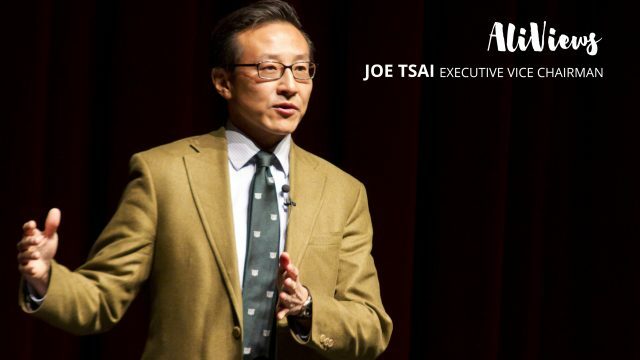 Hence, as we have always said, “Customers First, Employees Second, Shareholders Third.” We will continue to invest for the future, create unique customer value through innovation, and foster a robust environment for the young people in our company to innovate and create. We believe that persistence in playing the long game will result in significant and sustainable returns for our shareholders. Last year, we unveiled how we think about the future, the next ten to twenty years, summarized as “The Five New” – New Retail, New Finance, New Manufacturing, New Technology, New Energy. We are committed to building the infrastructure for commerce, financial services, logistics, cloud computing and Big Data in this new digital landscape. Data is the new fuel, and it will stimulate development and widespread application of new technology. Its use in areas such as commerce, financial services and manufacturing will bring about disruption that we have not experienced before. Our core commerce business continued to thrive and GMV transacted on our China retail marketplaces for the past fiscal year surpassed RMB 3.7 trillion. In fiscal year 2017, about 80% of our transactions took place on mobile, and our annual active consumers reached 454 million while mobile monthly active users reached 507 million. Taobao and Tmall are doing much more than just satisfying pre-existing consumption needs; they stimulate new consumer demand through data-driven and content-rich features, such as personalized recommendations, live streams, short videos and newsfeeds. Alibaba Cloud is still in hyper-growth mode, with year-over-year revenue growth of 121% for the 2017 fiscal year. 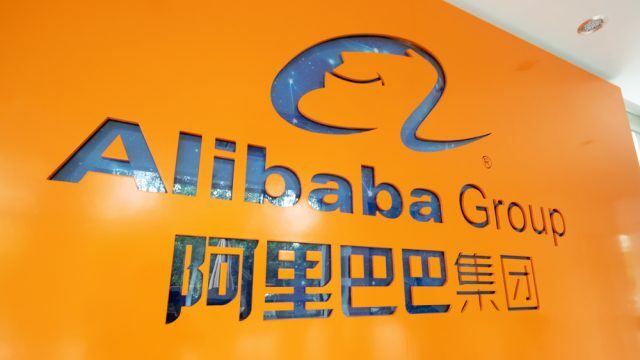 As of end of the quarter ended June 2017, Alibaba Cloud had more than one million paying customers, ranging from start-ups to SMEs to large industrial firms to municipal public services. Together with a large and diverse community of developers and service providers, a new ecosystem has formed around our cloud business. Since the acquisition of Youku, our digital media and entertainment business is coming together nicely. We have expanded our consumer offerings from physical goods to a wide variety of digital content. More importantly, we have introduced a game-changer for brands and retailers by enabling them to invest in brand-building and consumer lifecycle management, with integrated data working seamlessly across our e-commerce and digital media platforms to create unique synergies. Our portfolio of innovation bets produced many bright spots. Businesses such as mapping and navigation app AutoNavi, workplace communications platform DingTalk, New Retail grocery prototype Hema (now also known as Freshippo) all demonstrated distinct customer value proposition. We are incredibly excited by the substantial growth potential of these innovation initiatives. Looking forward, we believe the ongoing disruption caused by the confluence of Internet technology, data application and commerce is only just beginning. In anticipation of the future, we have already started to engineer our own strategic evolution. While our retail marketplace platforms Taobao and Tmall have in the past successfully helped many businesses develop powerful new sales channels, we are catalyzing businesses to revolutionize their entire operations through complete digitization. This includes transformation of their sales channels, marketing, supply chain, logistics and manufacturing. We will support their digital transformation with a wide range of technology and data analytics services and become their infrastructure for digital commerce. For example, Alibaba will help businesses leverage our Uni-Marketing approach to engage in brand-building, product marketing and customer lifecycle management by leveraging data from our e-commerce and digital media platforms. Our Rural Taobao network and Ling Shou Tong supply chain services will empower brands to establish new distribution management systems that improve performance through data applications. Cainiao’s smart logistics network will help customers boost efficiency and lower costs through integrated online-offline inventory management that can serve both business-facing as well as consumer-facing needs. Cainiao will also work with partners to enhance quality of logistics service and experience for consumers. Alibaba’s mission is more than just growing online retail and achieving our goal of US$1 trillion in GMV by fiscal year 2020. We also want to help offline retail partners achieve digital transformation and upgrade existing retail formats. We aim to create new value proposition for consumers by redefining the key components of traditional retail – customer flow, merchandise and space – in partnership with traditional retailers as well as through pioneering new retail experiences. We will continue to invest heavily in cloud computing and technology research. One million paying customers on our cloud was an important milestone for the business and it is just the beginning. Businesses from all industries will have the need and desire to migrate onto the cloud in the future as low-cost computing and advanced technologies become utilities that are provided as a service. We will establish clear-cut service provider schemes with domain expertise across different industries and provide comprehensive solutions to customers by moving up the cloud stack. 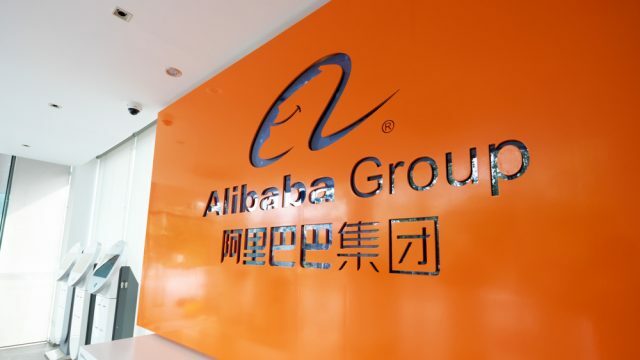 Alibaba Cloud will also serve as the commercial distribution portal for Alibaba Group’s proprietary technology. 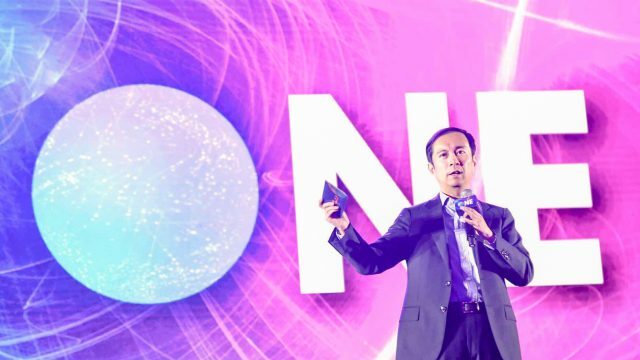 Advanced technology developed in-house by Alibaba Group, such as security, middleware, content delivery network and data intelligence, will be made available to third-party customers through Alibaba Cloud. We will continue to make long-term investments that expand our network for digital content generation and digital media distribution. We believe the ongoing changes in lifestyles of the next generation will lead to exponential growth in demand for multimedia digital content such as drama series, variety shows, live streams, short video and news. A rich and diverse digital content library will increase user stickiness on our digital media platform making the platform more valuable. Consumers who regularly participate and live in the Alibaba economy will be rewarded through a loyalty program that provides benefits across the purchase of physical goods, digital content and local services. In the coming years, we believe that technologies such as artificial intelligence will dramatically reshape commerce. Alibaba will sustain our competitive advantage of creating synergies between technology innovation and business innovation. Because of the rich spectrum of use cases in our commerce and entertainment ecosystem, we will continue to invest in and apply cutting edge technology to commercial applications across this ecosystem. Last but not least, we are aggressively charting our own course toward globalization. We are focused on leveraging the vast consumer base and manufacturing capability in China to develop our cross-border e-commerce import and export businesses. Additionally, starting with the Southeast Asia market, we will continue to expand into serving local consumers, thereby gaining exposure to fast-growing consumption demand beyond our home borders. Our ultimate goal is to realize global buy, global sell, global pay, global delivery and global travel. As Alibaba reached 18 years of age, this year marks the beginning of our adulthood and responsibility. Compared to where we started, we look big. But through the lens of the opportunities on the rapid path toward a digital economy, we still have a lot of room to grow. Much learning is needed. We need to learn how to sustain innovation. We need to learn to engage with society and partners as custodians of an economy that we hope to be all-inclusive. This year also marks the third anniversary of our IPO, and I am proud to say that we have made substantial strides as we innovated and positioned ourselves for the future, while at the same time growing revenues three-fold. I want to thank you, our investors, for your trust and companionship. We will continue to play the long game.